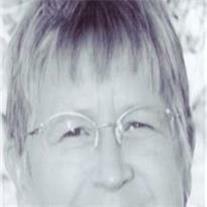 Mary Power Miller, 63, passed away Nov. 23, 2009. She was born July 24, 1946 to Art and Norma Power. She is survived by her husband J. Craig Miller, six wonderful children Candace, Garrett, Amanda, Dallas, Lacey and Katie, two terrific daughters-in-law, three great sons-in-law, and ten beautiful grandchildren. Visitation will be Sunday, Nov. 29, 2009 from 6-8 PM at Bunker’s Garden Chapel, 33 N. Centennial Way in Mesa. Private graveside services for family and friends will be Monday, Nov. 30, 2009 at 10:00 AM at the City of Mesa Cemetery.